What is your vision for the future of America? On September 11, 2001, a wake-up call was the focus of attention when 3,000 people were killed by a surprise attack on America. Beyond this "foreign" effort to terrorize us there lies a greater risk mentioned by great writers and leaders who have studied patterns of historical events of the ages. It seemed for a few weeks that the jolting warning of the twin tower attack was sounded and shortly afterward almost forgotten. Have we become a Nation of citizens desensitized by stories from the imaginations of writers and producers of pastime activities? Are you aware that in the early days of Christianity history reveals that adherents claiming to follow Jesus were fed to lions in ancient Rome before its destruction for entertainment? Unfortunately, centers of academia are not devoted to instilling the dangers which history predicts. Disturbing as it is, we must face facts or suffer consequences much like people dying intestate. Proactivity is a virtue needed if our posterity is to live in peace. While many refuse to see "border security" as an emergency it is evident that some of our national leaders are for political purposes inciting our doom at a minimum from outright hate as we've never seen before. As Ariel Durant stated, "A great civilization is not conquered from without until it has destroyed itself from within". Such suggests that some of our leaders are fulfilling the prophecy. I'll be plain. Hate for our President may be the very catalyst for our own doom. We indeed are seeing history in the making at the most critical time in our history as a Nation. Yes, I'm suggesting that greater than the 911 tragedy is either the blind-eye or purposeful push-back character of corruption embedded in Washington. Our duly-elected President was driven to sacrifice his freedom and opulent lifestyle to sound the clarion call and symbolically and almost single-handedly take upon himself the burden of hope. My early thoughts have been deeply influenced by the ancient history of how Nations either survive or suffer destruction. My studied opinion is that President Trump campaigned and won the Presidency just in time to direct our Nation's future. It seems at best he can only delay our doom. Are we going to wake up as a Nation? It's up to us to decide whether we will bequeath freedom or reintroduce slavery in the form of Socialism or promote Capitalism as the way to retain the opportunity to sustain freedom. I'm convinced that our future stands on fragile grounds as the demise is centered within our civilization. 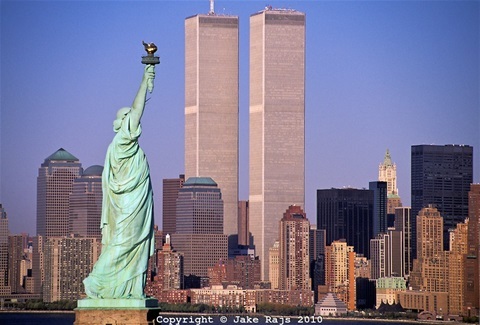 Even greater than the 911 tragedy is the destruction within our political playground. On a more positive note, there may be a ray of hope according to Dr. Gerard Lameiro in More Great News for America (March 24, 2018 blog this website). What do you think?